What a wonderful card!! Fabulous! Wow! What a dramatic card!! Love it! Another winner! I really like this butterfly too. Beautiful! 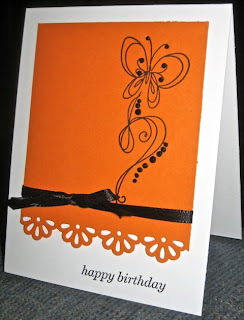 Love the striking oranges and black! !